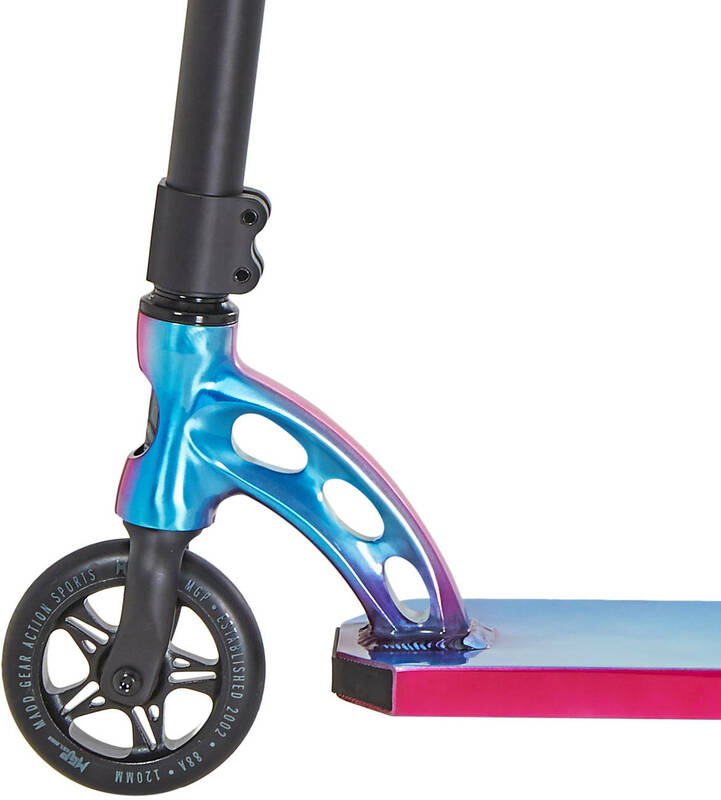 The VX8 Team stunt scooter from Madd Gear scooters is a sweet selection of parts and powerfull colour combinations put together in a scooter that is ready for relentless thrashings at the skatepark. 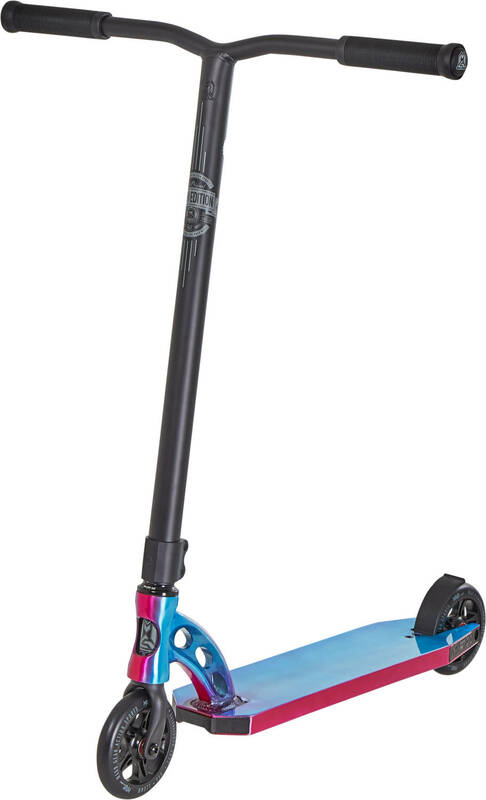 The updated chrome plated fade bar looks killer and merged with a Standard HIC compression system it will surely have you doing effortless barspins all day. 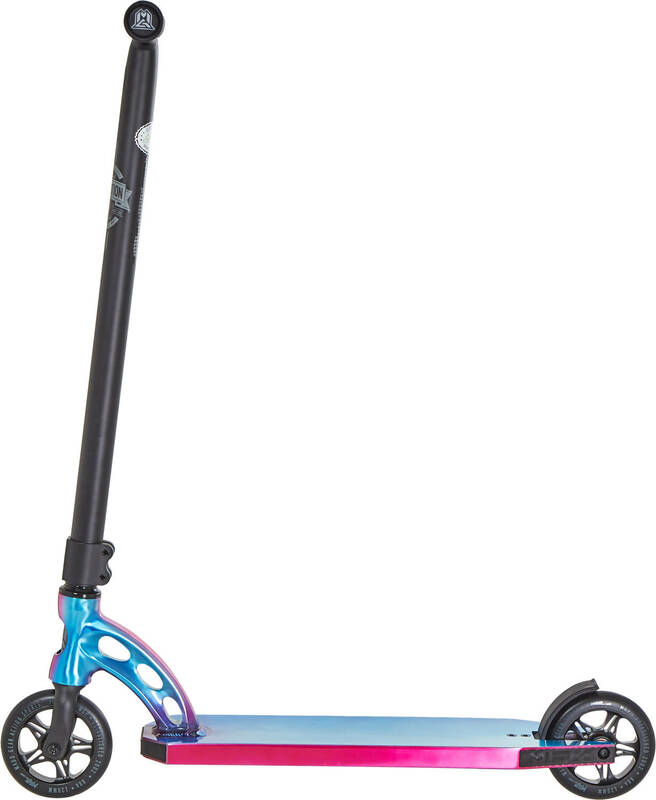 The Team edition has always been a great bang-for-your-buck stunt scooter and the VX8 is no exception. 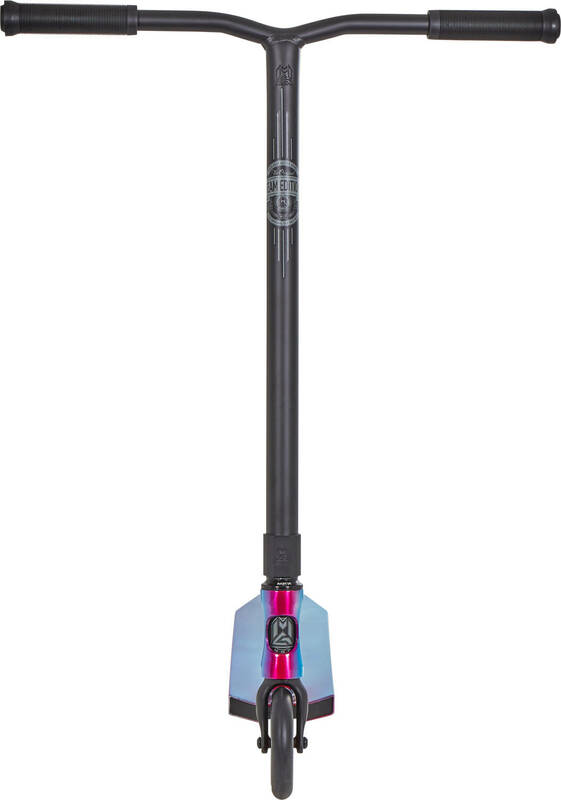 Available in a fresh range of colour combinations with logo details throughout.